There only less than a week until the Fair at the PNE is over! Take advantage of Vancity Member Day tomorrow Wednesday, August 27th and get into the Fair for only $5! Just show your Vancity MEMBER CARD® debit card or Vancity enviro™ Visa* (or other form of membership verification) at The PNE to receive this discount for you and a friend! What? Members of Vancity and a guest can explore The Fair at the PNE on Vancity Member Day, Wednesday, August 27 for $5 each. Who? Vancity members can bring a guest to explore The Fair at The PNE on Vancity Member Day for $5 each. 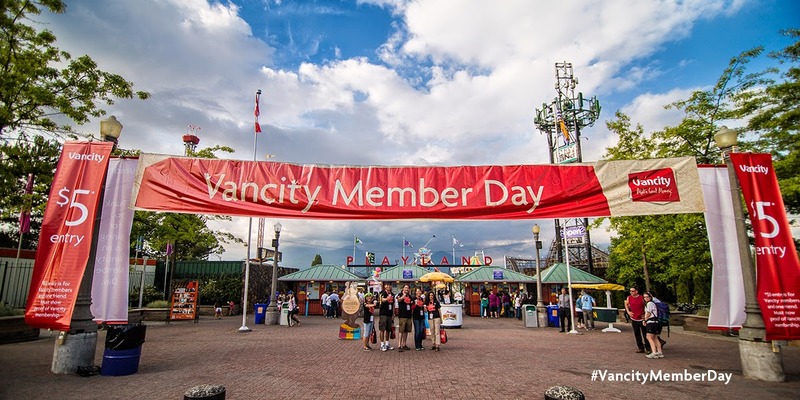 Members will need to present their Vancity MEMBER CARD® debit card or Vancity enviro™ Visa* (or other form of membership verification) at The PNE. That’s a savings of $11 on adult admission! Also be sure to visit the Vancity Eco Zone and learn how Vancity is supporting the PNE on their journey of going green and how you can go green at home, too. Their goal is to make Vancity Member Day a Zero Waste Day! How is Vancity working towards building a zero-waste PNE for Vancity Member Day? For Vancity Member Day, Vancity is cowpowering all attractions at The Fair - using renewable energy generated from waste cow manure. In addition, Vancity helped install 75 new recycling stations throughout fairgrounds to help PNE improve its waste reduction. How can you help the PNE be more green? Ride your bike to the PNE. During The Fair, there will be a complimentary Vancity-supported bicycle valet service. The bike valet stations are set up inside Gate 1. Valet your bike during The Fair to be entered to win a prize pack from Vancity community partner, PEDAL. Bring your water bottles on Vancity Member Day. On Vancity Member Day, August 27, a drinking-water station to refill re-usable water bottles will be provided by Metro Vancouver. 75 new recycling stations have been installed to collect three streams of waste: garbage, recyclables and compostables. Please follow the signage at these stations to help the PNE divert waste from our landfills. Learn more about Vancity Member Day at the PNE by visiting the Vancity website.